Leaving so soon? 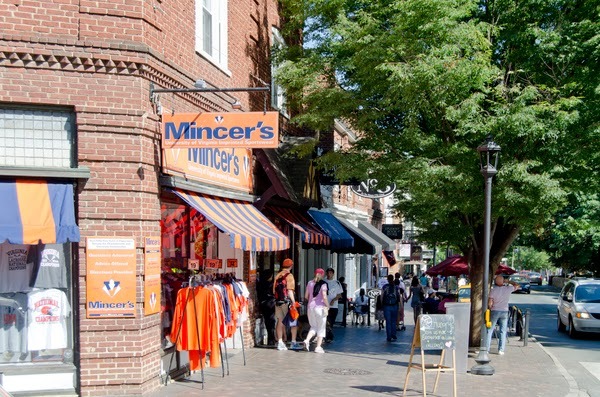 While winter break is a wonderful time to escape from the stress of academia, to spend with family and friends, travel, and watch Netflix for three days straight, there are numerous ways to enjoy break right here in Charlottesville. 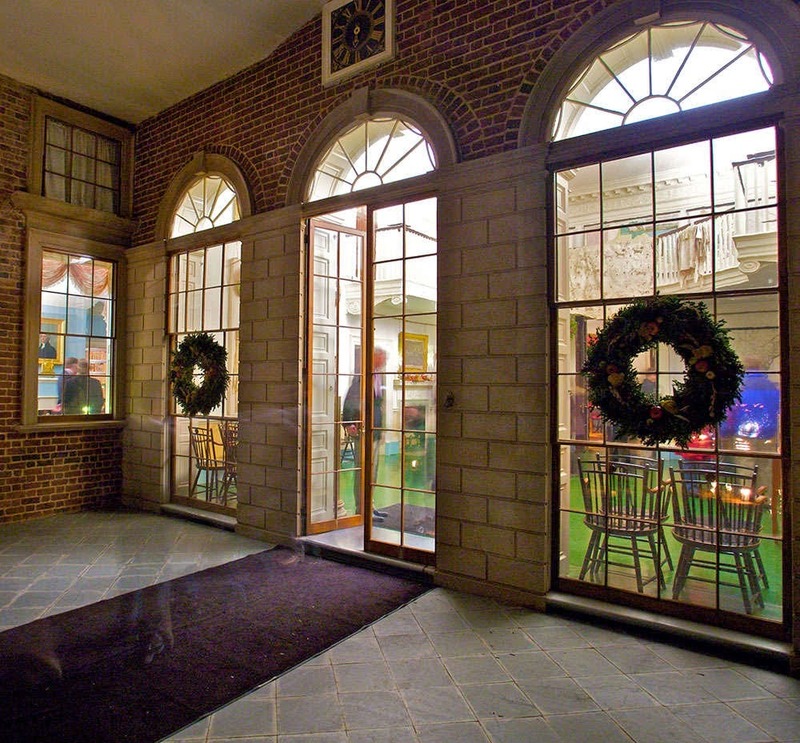 Until December 30th, Monticello is offering Holiday Evening Tours. See Jefferson's beloved home decked out in Christmas decorations as well as explore Monticello's Dome Room. Ready to hit the ice? The Main Street Arena in Downtown Charlottesville is home to an awesome ice skating rink. 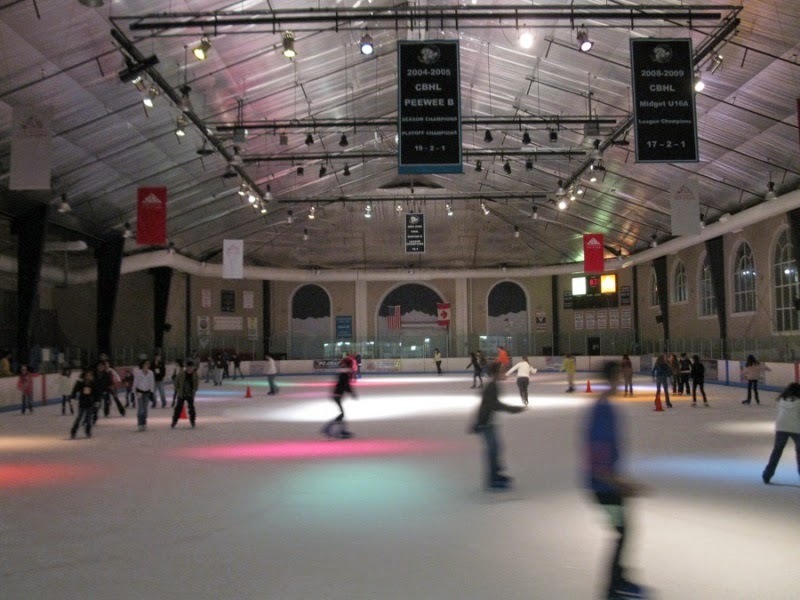 Public skating is offered weekdays (except Christmas). 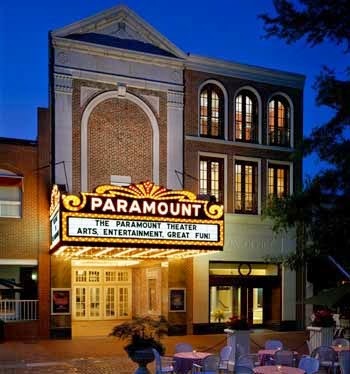 Another great Downtown Mall hotspot is The Paramount. During winter break, enjoy Christmas concerts, watch classics such as It's a Wonderful Life and The Sting, or even catch the Downton Abbey Season Five Premiere Party. 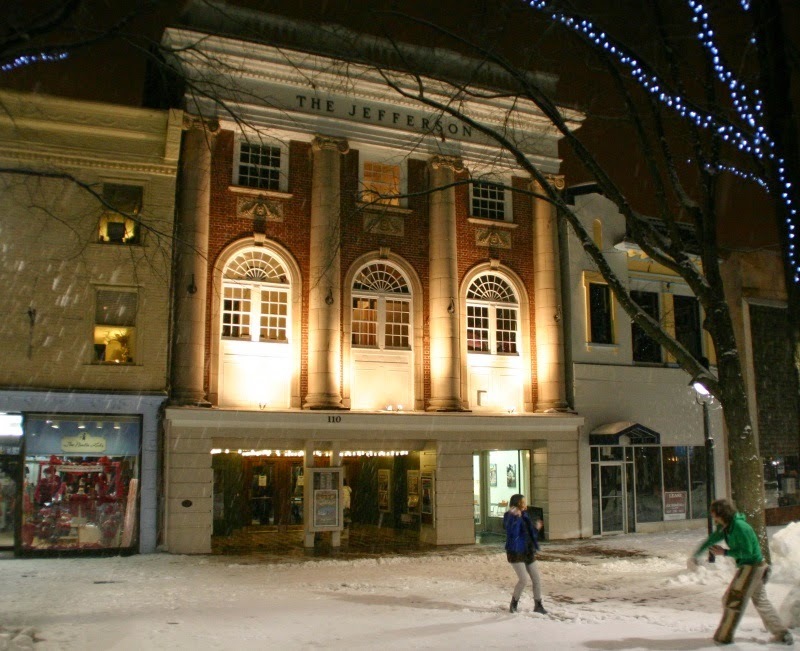 There's always something to do at Charlottesville's historical Jefferson Theater. Aside from seeing awesome bands, you can attend 106.1 The Corner's Ugly Sweater Holiday Party. Proceeds benefit the Blue Ridge Area Food Bank. If you're feeling adventurous, you can drive roughly 45 minutes to the Massanutten Resort in Harrisonburg, VA. 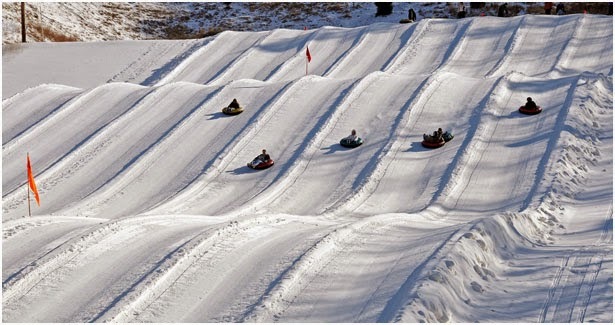 Whether you prefer snowboarding, skiing, or snow tubing, Massanutten has it all. If there is one question that is hotly debated here at UVA it is this: where is the best food? Read on for one woman’s extremely subjective and highly questionable take on this hot button issue. Ohill (aka Observatory Hill Dining Hall): This is the land of the first years and unlimited meal swipes, conveniently located right next to new dorms. The food here is what you would expect from a dining hall and therefore how good a meal is really depends on the day. However, throughout your first year you will come to love Ohill and its waffle-makers, perfect for a late night snack or an 11 o’clock brunch. Crossroads: A convenience store located within Ohill is a wonderful land of junk food, burgers, cookie dough, Sbarro, and also salads, fruits, and “real food” (though I can’t remember ever getting any of this supposed real food so I cannot attest to its quality). Crossroads meets all of your study night/movie night/ hang out needs, especially late at night since its hours are later than the dining halls. There is no finals study session blues that cannot be cured with a Crossroads burger or milkshake. Newcomb: Located more in the center of grounds this is the place for more low-key, before class breakfasts and very busy lunches. From my experience they tend to serve a greater range of food on a day-to-day basis and their salad bar is almost always on point. Plus, they are more likely to have whoopie pies which make it preferable to Ohill. Food trucks: There are currently two food trucks that park right by the amphitheater during the middle of the day for the lunch. They are quick and easy ways to get food on the run or to eat in the amphitheater if it’s a nice day, and they take plus dollars which means you get the feeling of going out to eat without spending actual money. The dumpling cart is a fan favorite, a fact attested to by the long line they have pretty much always. The line does move fast though and the dumplings are totally worth it. Though be warned, once you try them you need to get your dumpling fix at least once a week. The other food truck is The Pie Guy. Fairly new, he doesn’t draw a crowd like the dumpling truck does even though he serves a good range of pies for only $5 including apple pie, which we all know is the absolute best kind of pie. West Range Café: Also a wonderful drain for your plus dollars, West Range tends to be more the domain of upperclassmen located as it is next to the lawn rooms. If you are brave enough to go in however, you will find the best french fries on grounds. Seriously, these things are awesome and also very addiction-worthy. But, if you’re not a french fry aficionado like me, there are also really good sandwiches and sweet bakery things, all of which are really fresh. Honorable mentions: Greenberry’s in Clark hall (just as good as Starbucks with much less of a chance of a huge line and long wait), the Pav in Newcomb (because Chick-fil-a, quesadillas, and smoothies are part of a balanced, healthy college diet), and the Fine Arts Café in the Architecture school (for when you feel like eating something organic and sustainable but also surprisingly tasty). In a University filled with intelligent and hard working students, it is a constant struggle for individuals to pave their own unique path and distinguish themselves from their peers. 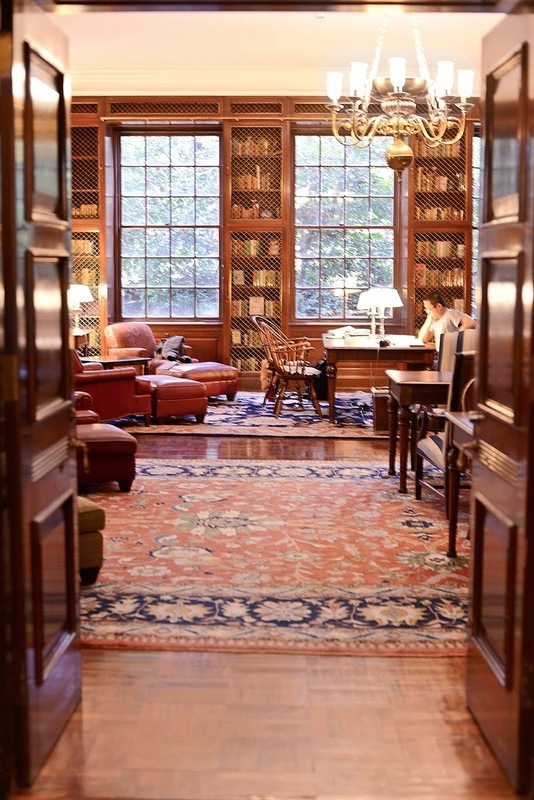 However, there are many little known ways in which students who search hard enough discover as means to differentiate themselves academically and carve their own educational niche at the University of Virginia. The first not-so-obvious trick is to utilize the variety of options students have regarding majors. I remember my orientation leader telling my group during the summer before first year, “you will see - during your first two years at the University of Virginia, 49% of students will identify themselves as ‘pre-med’, 49% as ‘pre-comm’, and the last 2% as ‘other’.” Even when, inevitably, a good portion of the student body gives up, either on their own accord or by the application process, on their ‘pre-med’ and ‘pre-law’ aspirations, they gravitate towards the same few majors. Both ‘pre-med’ and previously ‘pre-med’ students tend to lean towards a Biology, Chemistry, Biochemistry, Environmental Science or Physics major, while previous ‘pre-comm’ students choose a Economics, Psychology, Mathematics, Statistics, History, or one of the two Politics majors, remaining one of the masses. On the other hand, it is rare to find students who major in American Studies, African-American and African Studies, Archaeology, Art History, Classics, East Asian Studies, Human Biology, Jewish Studies, Linguistics, Medieval Studies, and Women Gender and Sexuality, and many more! A fact that many students forget to consider is that the majority of graduate and professional schools do not have specific majors that they prefer over others. For example, while getting into a Medical School requires the taking of certain ‘pre-med’ classes, there are no particular majors they prefer. You can elect to major in any field you wish and as long as you take those prerequisites, you can still, with the right GPA of course, get in to your medical school of choice. The same follows for Law Schools (which have no undergraduate requirements), Business Schools, and other professional programs. In fact, majoring in something different could increase your chances of acceptance by giving you an edge regarding the diversity of the entering class. Secondly, many students either ignore or are uninformed about the various interdisciplinary programs available at UVA. An interdisciplinary major allows students to take classes for a variety of fields in order to get their degree with a greater range of exposure. A couple of the interdisciplinary majors offered at the University of Virginia are Global Development Studies, Political and Social Thought, Cognitive Science, Political Philosophy, Policy, and Law, and Neuroscience. These majors all operate based on a selective application process with the number of students admitted ranging from 20-70 per year, depending on the program. By choosing one of these majors, and getting in, students are not only able to distinguish themselves from the rest of their class, but narrow their focus while still getting exposure from various departments. With my Political Philosophy, Policy, and Law Major, I have been able to take classes in the History department, Politics department, Commerce department, Psychology department, Sociology department, Philosophy department, and Economics department that all count towards my major while my roommate who is majoring in Government is limited to taking her 10 required courses from the Politics department. You can even choose to create your own interdisciplinary major and submit an academic plan for approval. You would think that with such great programs available, many apply to them every year, however only a shockingly small amount of students do, and those who do, tend to apply to multiple ones at the same time. As a final note, minors are also often ignored and wasted at the University of Virginia. At UVA, you are allowed to double major but not double minor. Therefore, a more careful consideration is needed before making such a decision. Many students opt to minor, or even double major and minor, seeing as a minor can constitute as low as 5 classes to complete. As the case with majors, it is also easy to predict which minors people will choose. The most common minors include Economics, Biology, Chemistry, Computer Science, Spanish, Government, Foreign Affairs, Philosophy, Psychology, and Sociology. Students need to keep in mind that there are a large variety of exceptional minors to choose from and use to academically distinguish themselves from their peers. Some examples include Bioethics, Classics, Global Culture and Commerce, Global Public Health, and Studio Art. With such a variety of both majors and minors to select from, students at the University of Virginia are fortunate to have the opportunity to have their own distinctive academic route, so keep these possibilities in mind! Is UVa the New Hogwarts? While UVa and Hogwarts are from two completely separate worlds, they aren't as different as they seem. Don't believe me? Well, here are some similarities between the two institutions. 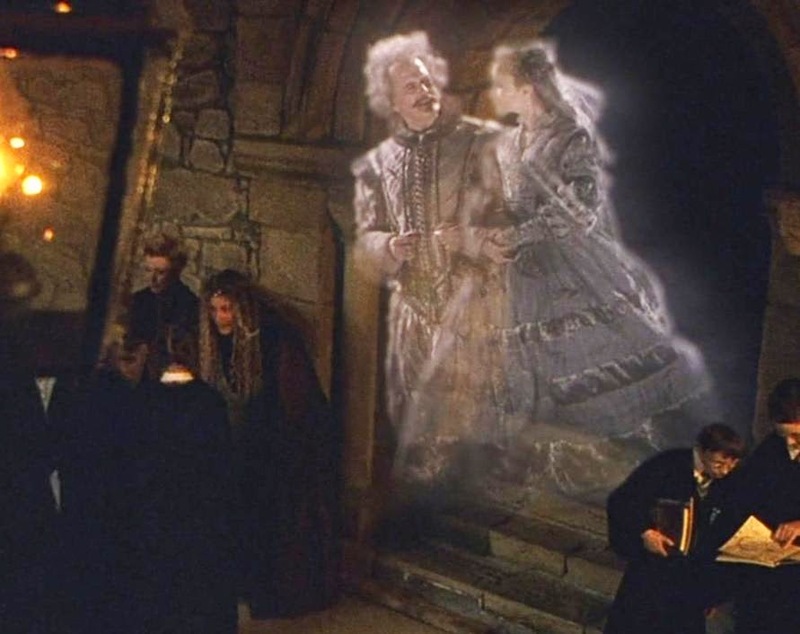 Like UVa, students at Hogwarts are referred to by their year. Also, the area surrounding each school is called grounds, not campus. 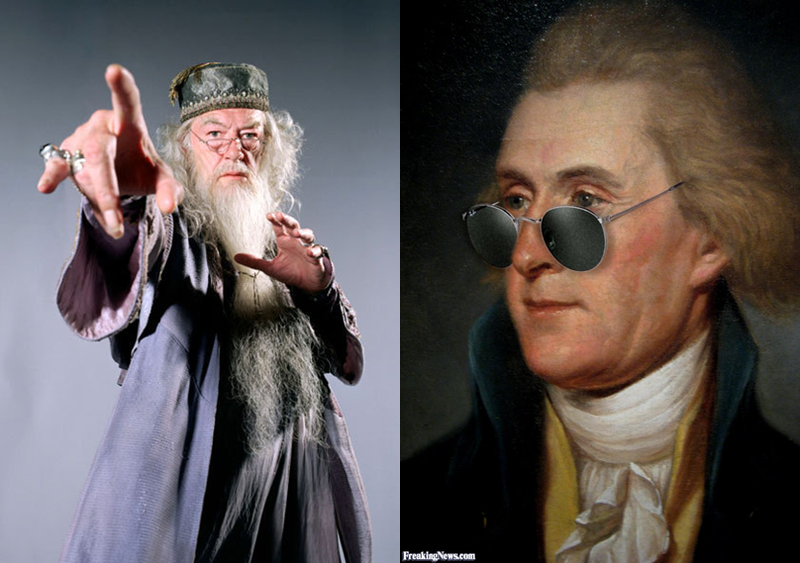 Both schools honor key leaders: Albus Dumbledore and Thomas Jefferson. 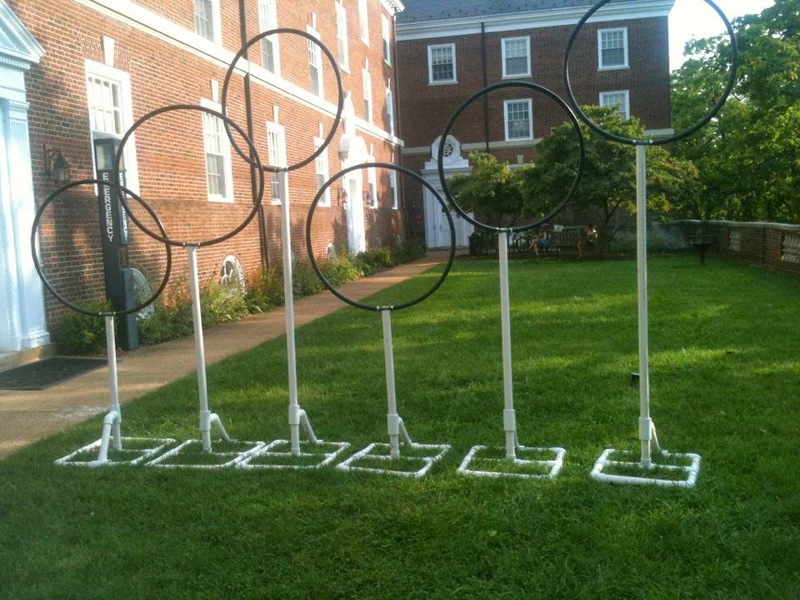 Yes, UVa has a quidditch team. No they don't fly. Although ghosts at UVa don't fly around grounds and converse with students, they're here--according to legends. 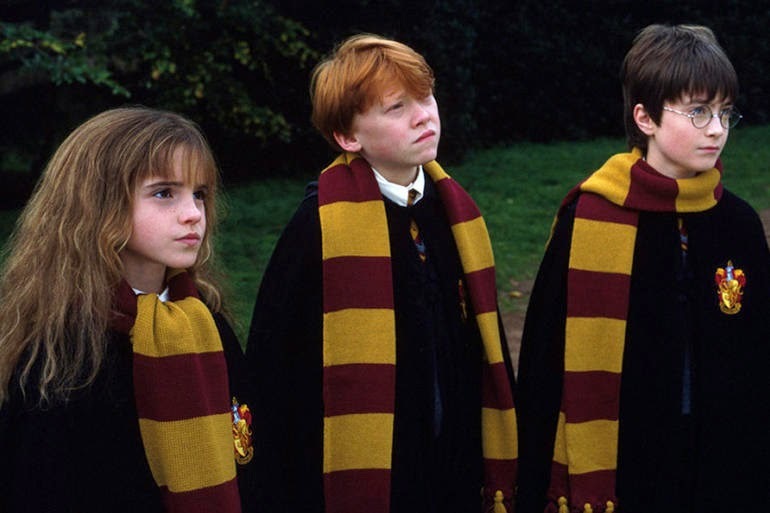 You don't have to travel to Hogwarts to enroll in Defense Against the Dark Arts. 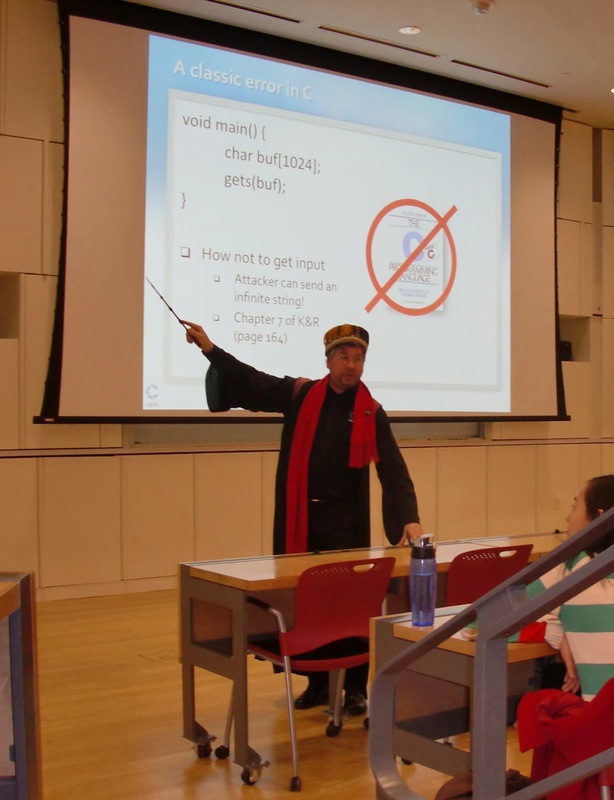 You can take the same course at UVa by enrolling in CS 4630. Hogwarts isn't the only school with libraries that contain dark, wood paneled walls, rolling ladders, and squeaky leather chairs. The McGregor Room (aka the Harry Potter Room) in Alderman Library is equally quiet and cozy. 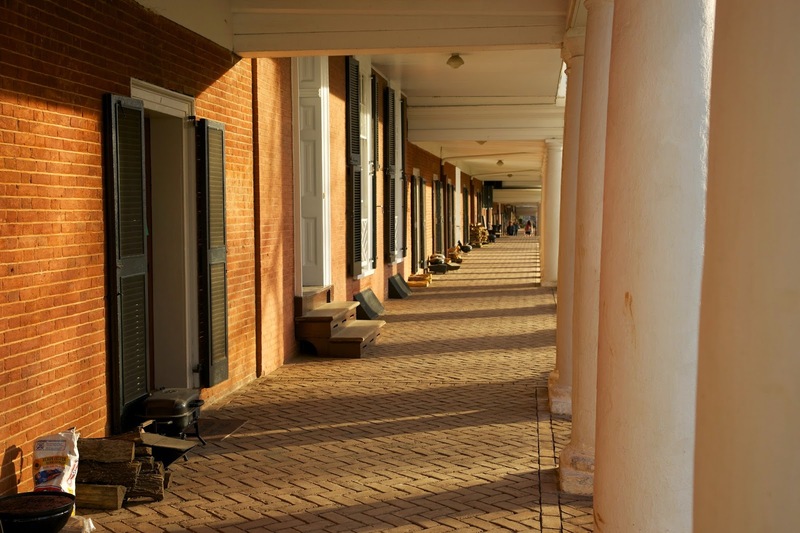 Jefferson's academical village houses both students and faculty for the purpose of enriching interactions between learners and educators. Even today fourth year students continue to live in lawn rooms while some professors live in pavilions. Similarly, most students and professors at Hogwarts live at school during the academic year. Like Hogsmeade, a few restaurants at The Corner are known to serve butterbeer. Now do you believe me, Muggles? There comes a point in the life of every college student when you are writing a paper/studying for an exam/goofing off (or all three) and you look at the clock and it's 2 in the morning. You're tired and wide awake at the same time and don't have the extra brain power to figure out how that can be. Whether you're chilling in club clem (i.e. Clemons library) or camped out in a study room in your dorm, working alone or commiserating with friends, you wonder why you did this to yourself. Why didn't you start studying earlier, why didn't you write that paper when you had more time earlier in the semester, and more importantly, does Campus Cookies deliver this late? No, you don't need cookies, you obviously need more coffee, or tea, or a straight shot of caffeine if that's a thing (it totally should be). Or you just need to finish. Yeah, that's definitely the most important thing. Somehow, through the spirit of Thomas Jefferson or the caffeine that you did consumer or your awesome friends who are right there with you, you pull through. You're done! You finally get to take a moment to breathe and appreciate that yes, you can do this whole college thing and though many really smart people go to and have gone to UVA chances are they have been in your same shoes at one point. They were all awake at 2am, studying or at least trying to study and made it through to do great things, like being Tina Fey. And, you know, co-founding reddit.com among other things. You are more aware than ever that you are part of this awesome legacy of excellence and, though the journey can be hard at times, you are truly lucky. And then you almost immediately fall asleep because you have class the next morning because apparently your professor didn't get your telepathic message to maybe, possibly, cancel class for once. It's cool though, a hug from Miss Kathy (AKA one of the most awesome people to work for UVA dining/the whole university) will make waking up in a couple hours bearable. Since April of this year, the University of Virginia has had the privilege of displaying a section of the Berlin Wall on grounds in order to commemorate its fall in 1989. 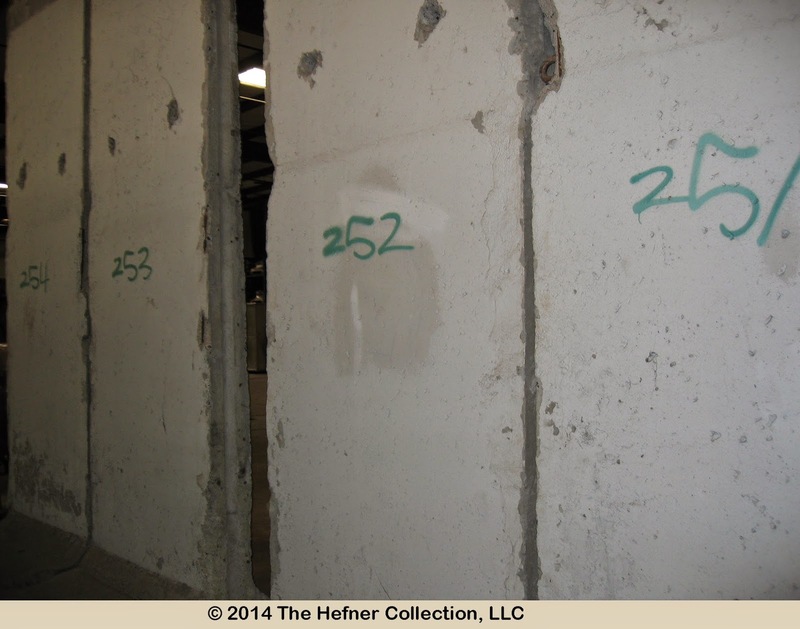 The four panels of the wall are being loaned to UVa by the Robert and MeiLi Hefner Foundation who acquired the panels in 1990. This piece of history can be seen across from the Special Collections Library and is adjacent to Alderman Library. 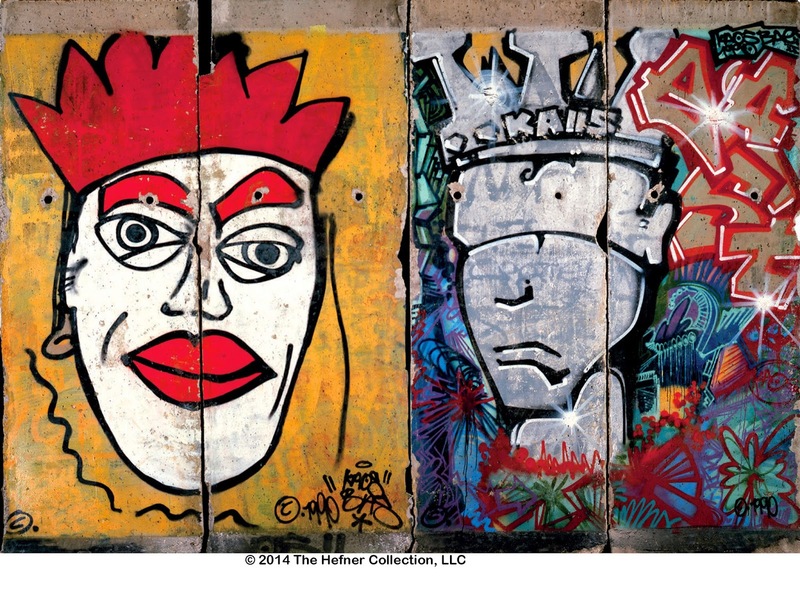 On the West German side of the wall, Dennis Kaun's mural "Kings of Freedom" is pictured. In the mural, two kings are strikingly juxtaposed. One king is painted in bold colors and glares at its spectators while the other king is blindfolded. The East German side, however, is eerily void of color and artistic expression. From November 3rd to the 9th, UVa held a Berlin Wall Symposium to celebrate the historical artifact. The symposium included performances, lectures, and films which focused not only on the wall itself, but also on art during the Cold War era. The symposium concluded last night and coincided with the 25th anniversary of the wall's historical fall. But what do the Berlin Wall and UVa have in common? Like Thomas Jefferson's Declaration of Independence, the Berlin Wall's demise illustrates freedom and liberty. Through Kaun's mural, we see the power of individual and artistic expression. We see the need for political freedom. We see that history is always with us. Ultimately, the Berlin Wall's presence at UVa continues Jefferson's desire for his university to foster education, expression, and community. October is Domestic Violence Awareness Month! This month is dedicated to raising awareness about domestic violence, honoring and recognizing survivors, and educating the public about what domestic violence is. At UVa, different student groups have hosted many events throughout the month. As the month is coming to an end, it’s time to reflect! Last week, members of the Gender Violence and Social Change Program at the Maxine Platzer Lynn Women’s Center hosted the Clothesline Project. It is a display of shirts made by survivors of sexual or domestic violence as a way to express their emotions and stories. There were many inspiring shirts on display, and it was a beautiful visual representation of the strength and resilience of survivors. Also during the past week, the Women’s Center hosted a variety of events pertaining to the Red Flag Campaign. There was a panel called discussion called “A Survivor’s Guide to Relationship Violence,” which featured stories from survivors and education from experts. In addition, students are encouraged to plant a red flag to raise awareness of the “red flags” of relationship violence, while also viewing the Clothesline Project display. During the week of October 26, the Alpha Chi Omega Sorority hosted Domestic Violence Awareness Week. Throughout the campaign, there was a food drive, a day to wear purple in honor of the mission, a restaurant night, and a few other events around Grounds aimed at educating students. The week concludes with a run/walk on November 1st sponsored by SHE, the Shelter for Help in Emergency, which is a Charlottesville Organization that helps women who are victims of domestic violence. These are just a few of the incredible things that have been going on during Domestic Violence Awareness Month at the University. Through the many events and organizations that got involved, much more awareness was brought to domestic violence. As we round up the month with Halloween and November rolls in, it is important to remember that raising awareness doesn’t stop here; there will still be plenty of groups working to keep the conversation going, which is what needs to happen to create change. Thanks to everyone who was a part of these events in any way!